DREAMY TRAVEL DESTINATIONS . . .
Hospice of Santa Barbara (HSB) honored special individuals and organizations Wednesday during the 5th annual Heroes of Hospice of Santa Barbara awards ceremony. Over 300 people mingled on the patio of the Four Seasons Biltmore Coral Casino Beach and Cabana Club overlooking Butterfly Beach before the three course luncheon that brought together real heroes of Santa Barbara health and healing to honor Ridley-Tree Cancer Center, Dream Foundation Flower Empower Program and Charles Zimmer, former Executive Director of HSB. Sponsors enjoying cool beverages on the patio were sponsors from Montecito Bank & Trust, Lucky Star sponsors Gerd & Peter Jordano, Guiding Star Sponsor Melinda Goodman Kemp and a bevy of additional sponsors and patrons. Lady Leslie Ridley-Tree accepted the Partnership Award on behalf of The Ridley-Tree Cancer Center, which opened last week. The beautiful new facility in Goleta brings all oncology services for the Santa Barbara community to operate at one location. Lady Ridley-Tree was glowing as she received a standing ovation from the audience. She shared what "a joy and a privilege" it was to accept the annual HEROES honor on behalf of the staff sitting before her. She also told the audience she hoped they'd never have to use the cancer facility. The Hospice of Santa Barbara third honor, the Legacy Award, was presented to Charles Zimmer, a previous executive director who launched the organization back in the late 70's. "Loving, compassionate care freely given is the motto.” "From the earliest youngsters up through us oldsters. It's just perfect for what the need is in the community," said Zimmer. Hospice of Santa Barbara was founded 40 years ago on Cabrillo Boulevard, and today has headquarters on Alameda Padre Serra, with a staff of more than 30 people. The volunteer hospice organization provides professional counseling, support groups and patient care services to those grieving the loss of a loved one or experiencing the impact of a serious or life-threatening illness. Hospice of Santa Barbara is the recipient of numerous awards under the current direction of Chief Executive Officer David Selberg. For donations or information visit: www.hospiceofsantabarbara.org. Ghirardelli Square, the historic San Francisco landmark that has reemerged as a vibrant urban destination, is pleased to announce the forthcoming opening of Subpar, a San Francisco landmark-themed, 18-hole indoor miniature golf course. Since its inaugural location opened in Alameda in 2012, Subpar has become a popular Bay Area destination for locals and visitors alike. Subpar is slated to open its new Ghirardelli Square location in spring 2018, bringing a fun, family-friendly recreation center to the heart of San Francisco. The new location will feature an 18-hole course with fanciful depictions of San Francisco landmarks at each hole, including the Golden Gate Bridge, the Ferry Building and Ghirardelli Square itself. The Ghirardelli Square location will feature 6,000 square feet of interior space and a 1,000-square-foot outdoor area, replete with lawn games such as bocce ball and a special seating area for visitors. California wines and craft beers will be available to purchase. For more information about Subpar, please visit subparminigolf.com. Opened on Park Street in 2012, Subpar is a one-of-a-kind, landmark-themed 18-hole indoor miniature golf course in Alameda, California, depicting popular landmarks from all over the Bay Area, including Oakland, San Francisco, Berkeley and Napa wine country. Subpar will open a second facility, focused on San Francisco landmarks, in Ghirardelli Square in spring 2018. A historic landmark steeped in the history of San Francisco, the reimagined Ghirardelli Square is a vibrant urban destination offering an exciting variety of creatively-inspired boutiques, notable restaurants, engaging activities, and seasonal events appealing to hip local residents and area visitors. Boasting unparalleled panoramic views of the Bay, Golden Gate Bridge and cable cars from its waterfront location at Beach & Larkin, Ghirardelli Square dates back to the mid-1800s, when it served as the original site of the Ghirardelli family’s chocolate, cocoa, mustard and box factories. Jamestown purchased Ghirardelli Square in 2013 and has since been working to reinstate local significance to the historic global destination and strengthen its neighborhood influence in San Francisco. 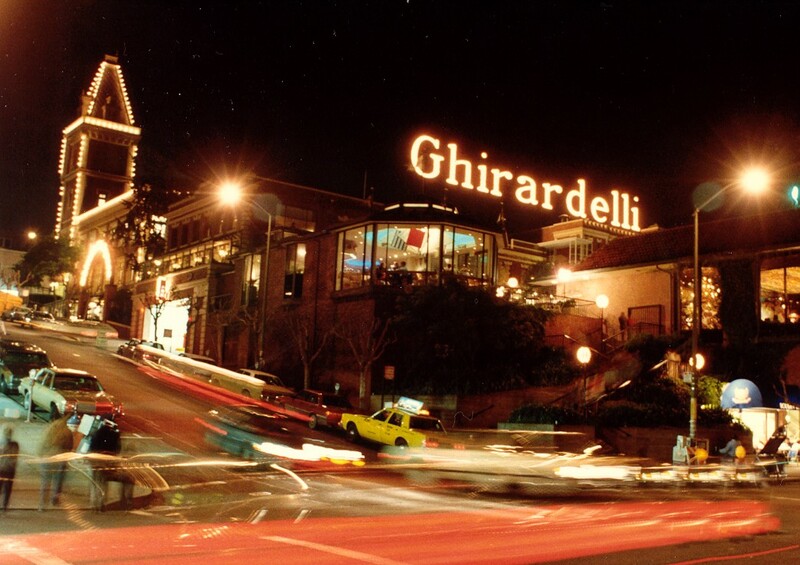 Ghirardelli Square is currently home to more than 20 restaurants and retailers. The Square is also an epicenter for annual community and national events such as Uncorked Wine Festival, Ghirardelli Chocolate Festival and the Tree Lighting Ceremony. For more information visit http://www.ghirardellisq.com/.